In today’s data centers and SAN environments, space is often at a premium, making density more critical than ever. High-density fiber optic solutions offer the users performance and reliability. Using a comprehensive solution of high-density fiber enclosures or patch panels with either adapter panels or pre-terminated cassettes provides a complete fiber cross connect patching solution for applications where maximum density is required. The fiber patch panel, or fiber enclosure, is built and designed for efficient cable management, organization and protection within the racks. High-density fiber patch panel consists of a panel enclosure and modular HD cassettes, which can connect a 40G/100G fiber network feed (using MTP cable) and segment it into standard LC connections in order to interface with 10G devices. The cassettes are housed in a space-saving, rack-mountable, panel enclosure that can hold different amounts of cassettes, depending on the installation requirements. The high-density patch panel can provide fast and easy deployment of high-density interconnects and cross-connect in data centers. The following are some advantages of using high-density fiber patch panels. Simplify Cabling Deployment: With the fiber patch panel in place, there is no need to run long jumpers across the room, under the floor or in overhead conveyance. 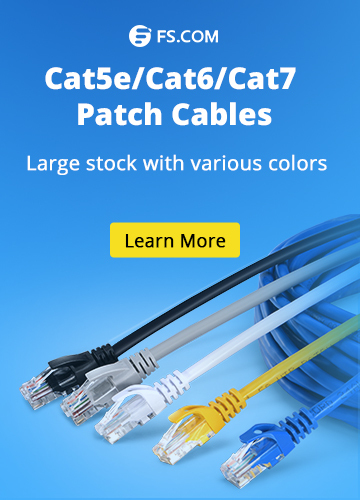 And instead, you simply run a short fiber patch cable from your SAN or network switch up to the fiber patch panel/enclosure. It’s really that simple. Save Space: High-density fiber patch panel is one of the best space savers in the data center. It helps to increase port density by allowing you to fit more cables into a smaller space. Most importantly, it allows you to save space and stay organized. Increase Port Density: Besides better space optimization, high-density patch panel can achieve double the port density in 1U of rack space. This allows for density increases and technology changes without a complete tear-out and replacement of existing infrastructure. Ease of Installation: As described above, cassette is a part of the patch panel. When installing the cassette, no tools are required in the panel enclosure. And using push-pull tabs, connections can easily be locked or unlocked in the panel. Each cassette features factory terminated connectors that reduce the time and labor required of field connector terminations. 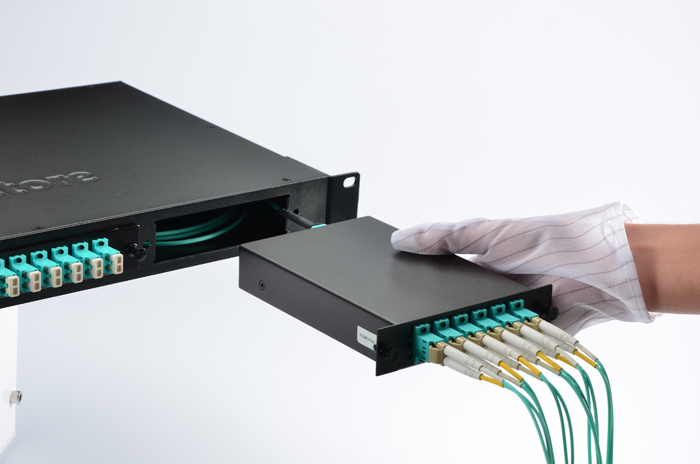 Flexibility and Adjustability: Fiber patch panels can connect different generations of equipment, such as 10G, 40G, 100G in a simple panel-cassette system. And network reconfigurations are highly adjustable due to the modular cassette system. 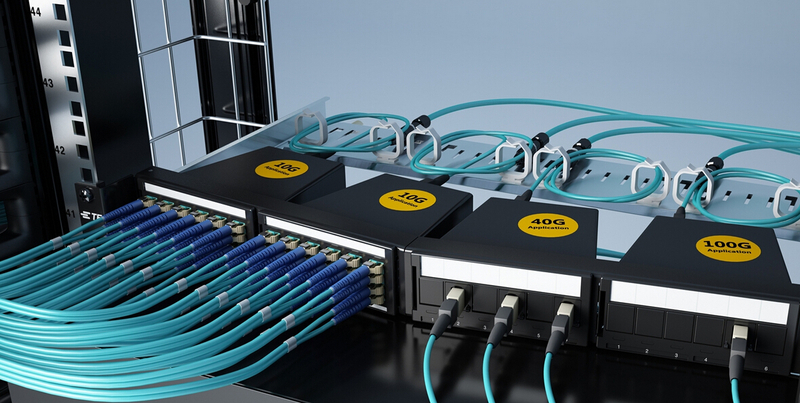 Cost-effective Solution for 40G/100G Network: Employing a high-density fiber patch panel is the most effective solution for overcoming cabling congestion associated with 40G/100G network connections as the modular plug-and-play cassettes can be changed when higher bandwidth becomes needed. It can manage, allocate and control the connections of network equipment of varying bandwidths. Cable management is simplified because the fiber patch panel can be changed or expanded by installing a new cassette instead of running new cables. By simply patching the 40G MTP cables at the back and the standard LC cables to devices in the front of the cassette, the IT staff don’t need to pull a new fan-out cable each time they need a new connection. 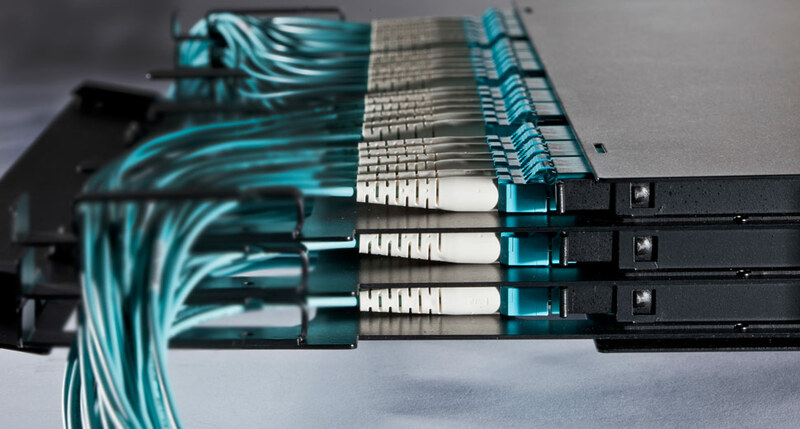 Modular cassettes allow to expand whenever you need to accommodate the necessary bandwidth and connectors. High-density fiber patch panel offers the highest level of scalability and highest density in the market. 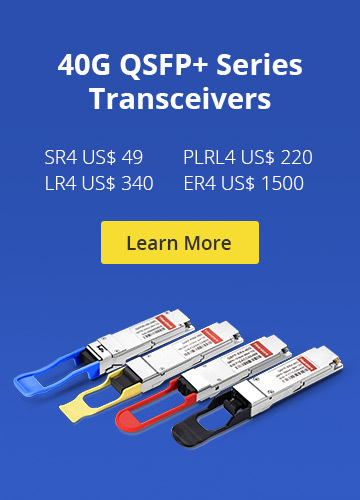 They enable a seamless distribution for bandwidth from 100G to 40G to 10G. FS.COM provides high-density fiber patch panels with various configurations. Any one of them would be an excellent option for your network. More details, visit www.fs.com or contact us over sales@fs.com for the detailed information. Fiber Patch Panels Cable Management, fiber enclosure, fiber patch panel. permalink.